The Year We Fell Down: A Hockey Romance (The Ivy Years Book 1) by Sarina Bowen. Rennie Road Books. 2014. Personal copy. The Plot: Corey Callahan is excited to be starting her freshman year at college. Just like her brother, she is going to Harkness College. Corey's also supposed to be playing ice hockey. But because of an accident her senior year, she's in a wheelchair. So Corey's not playing the sport that defined her. She's also not in a dorm with the others in her incoming class; instead, she's in the school's handicap accessible dorm. Determination, and refusal to be babied by her parents, drove Corey to start her freshman year. Some things may be more of a challenge for her than others: Harkness is an old campus, and even when buildings are accessible it's not easy or simple. But other things are great. She has a terrific roommate, and then there is the very cute guy across the hallway: Adam Hartley, a ice hockey player who took a fall over the summer and broke his leg in two places, which is why he's in the handicap accessible dorm. They become friends as together they figure their way around campus, and classes, when their are too many stairs and not enough elevators and ramps. Corey finds herself falling for Hartley. But he is popular, and a jock, with a hot girlfriend. And he plays the sport she can never play again. Is he only thinking of her as the girl across the hall, a friend to play videogames with? Or could he fall for her? The Good: I loved this book so, so much. When I, along with Sophie Brookover and Kelly Jensen, was preparing for the New Adult Genre webinar for the Massachusetts Library System, I asked for recommendations for books and Gail from Ticket To Anywhere recommended Sarina Bowen. A huge thanks for the suggestion. 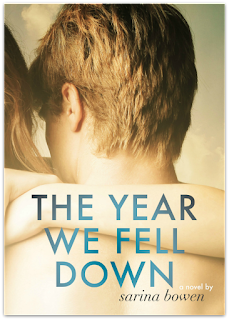 The Year We Fell Down works for so many reasons: it's a college story where being at college, the setting, really matters. I don't say that lightly; some books with a college setting use the college as a simple backdrop, a device (much like dead parents) to give the older teen independence. In The Year We Fell Down, Harkness College matters. What Corey does at Harkness matters. She attends classes, goes to parties, makes friends. It's familiar to anyone who has been at college, but also provides a true portrait of what college is like. The Year We Fell Down is also about how college provides a place for older teens to become independent, to make choices, to succeed, to fail. It's also a love story, with Corey and Hartley becoming friends and that becoming something more. (Heck, that's hardly a spoiler! It's a New Adult book. It's a romance. It's not about whether the couple gets together, but how and why.) It's real and believable. And as someone who doesn't like stories about cheaters, I'll add that "Hartley has a girlfriend" is handled very well. This is not a book about cheating; but it is a book about people in college sorting out their feelings and figuring out when and how to act out on those feelings. 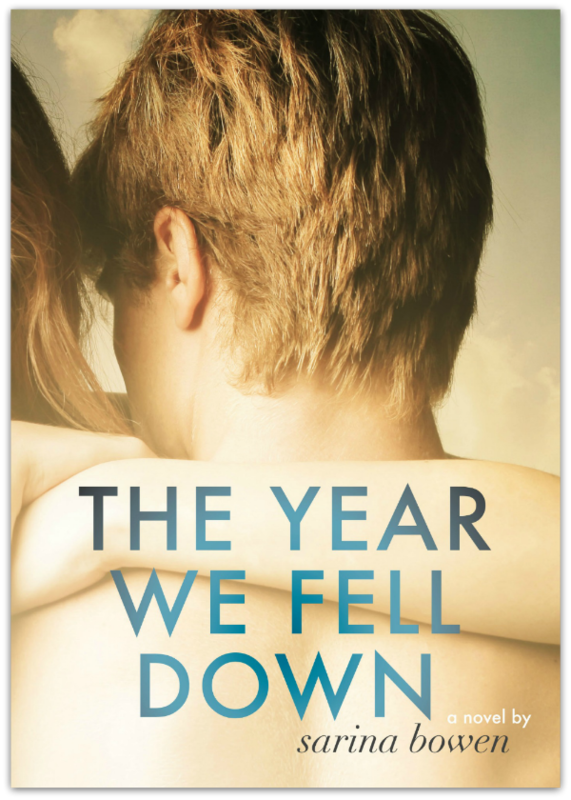 The Year We Fell Down is first of a series, one of those series that isn't about a sequential story but rather interconnected stories, with overlapping characters. I'm looking forward to reading the other books. And so yes: it's a Favorite Book Read in 2015. I love this entire series! Each one is great. Bowen has been such a great NA find.